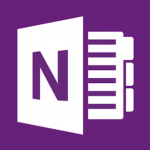 If your organisation uses Microsoft Office, you probably already have MS OneNote installed. While you use Outlook for handling your email and calendar (and possibly tasks if you have been to one of our sessions), you may wonder if and where OneNote fits into the equation. Watch this series of videos to get the best use from a OneNote and Outlook partnership.